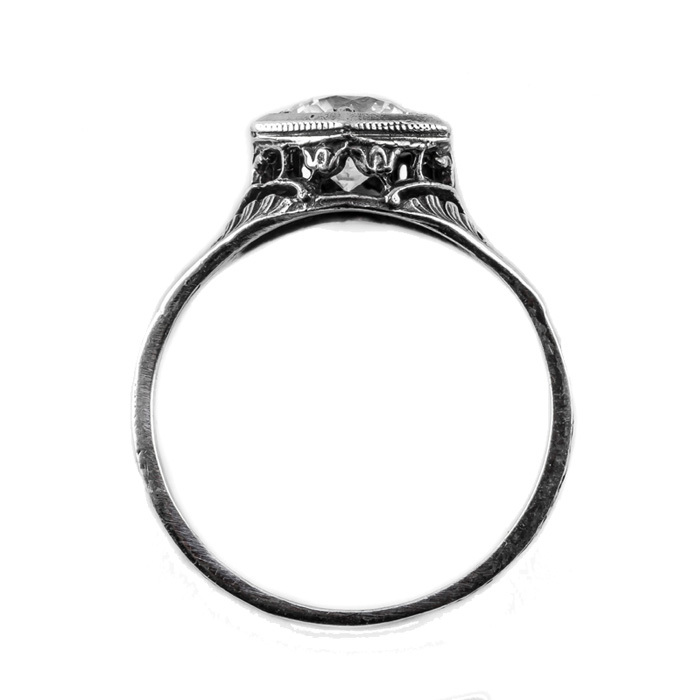 Your inner fashion designer will really come out when you create use this purple amethyst ring as an accessory. As you get ready for your night out on the town, you are sure to look like a princess in any outfit you select, but wearing this amazing piece of jewelry by Apples of Gold will turn your ensemble into a beautiful piece of art. A glistening purple amethyst gemstone simply glows from within and adds sparkle to the polished sterling silver. 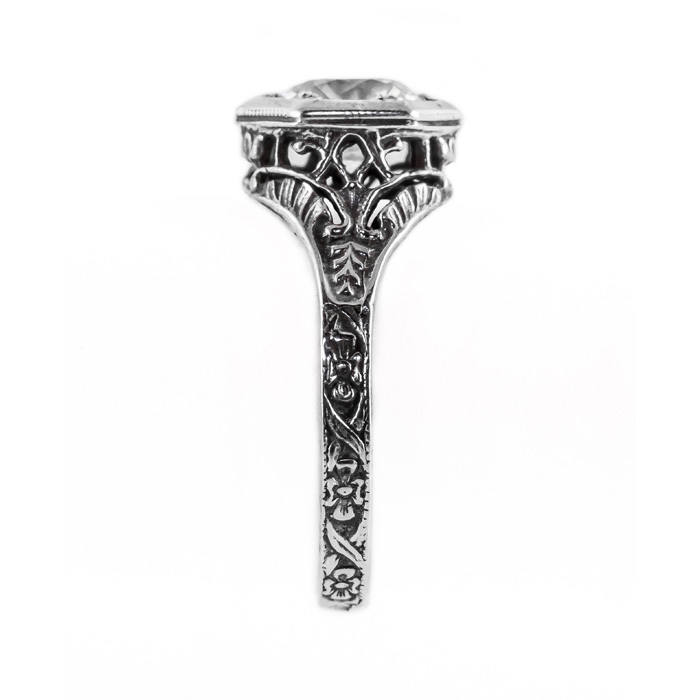 With a total measurement of 6.5mm, this art nouveau inspired ring is a fashion statement. Can you say in vogue? 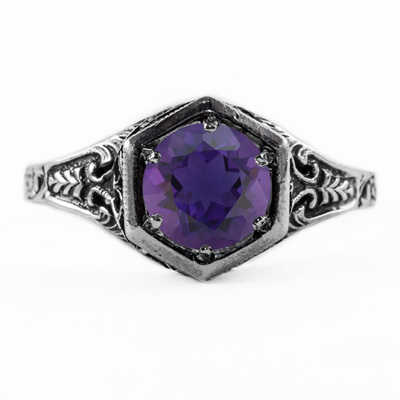 We guarantee our Art Nouveau Style Amethyst Ring in Sterling Silver to be high quality, authentic jewelry, as described above.